Last night, my husband and I saw X-Men Origins: Wolverine, the first in a promised series of films looking at the background stories of individuals in the X-Men lore. 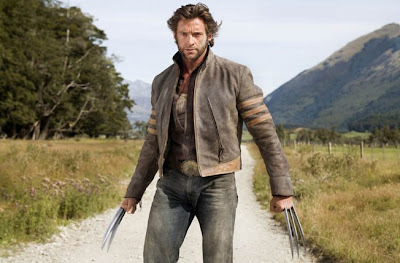 This film explores the origins of Wolverine (Hugh Jackman), the brooding mutant with super strength, healing ability and retractable claws who was born James Howlett in the early 1800s but who now goes by Logan. Critics weren’t too favorable to the film, but all in all, I thought it was pretty good—and I especially resonated with one of the film’s themes affirming that we all have a choice in the paths we choose to walk in this life. The film opens during the early years of James Howlett’s childhood, when he witnesses his father’s murder at the hands of a gruff and drunken Thomas Logan. In his grief, claws protrude for the first time from the back of James’ hands and he charges and kills the man, whose last words are to tell young James that he is actually his biological father. James flees with Victor, also the son of Thomas Logan and who, similar to James, grows long claws from his fingernails and possesses extraordinary regenerative powers (which give both of them a much longer life span than normal humans). The opening montage shows the brothers fighting (and dying and regenerating) side by side in multiple wars throughout history until they are recruited into a special unit of mutants run by William Stryker (Danny Huston) during the Vietnam War. But James grows increasingly disgusted with the unit’s tactics, and walks away after the other members massacre an African village. The film skips ahead six years, where James is now going by the name Logan, working as a lumberjack and living a secluded and simple life with schoolteacher Kayla Silverfox (Lynn Collins), who knows his whole story, accepts his mutant abilities and encourages him to walk and stay on a better path. After Stryker visits Logan and tells him former unit members are being killed one by one, Logan finds Kayla has been killed by Victor (Liev Schreiber). Logan is filled with rage and grief, and takes Stryker up on his offer to help Logan get his revenge on Victor by making Logan stronger by bonding an virtually indestructible metal to his bones. Logan—who now takes on the name Wolverine from a story told to him by his beloved Kayla—goes through the process but wakens to find out Stryker has tricked him. Logan escapes and takes refuge with a kind and elderly farmer and his wife, Travis and Heather Hudson, and begins to question the path he’s started down. 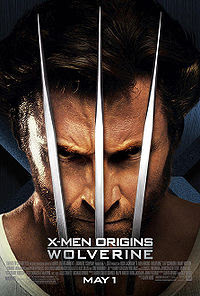 But after the elderly couple is killed by Stryker’s men, Logan tracks down a couple of his old unit mates and starts to unravel Stryker’s manipulative and dastardly plans for mutants, which includes more than a few twists and turns—and more challenges to Logan in his struggle to choose who he wants to be. I found it very interesting to watch Logan’s story unfold beside his brother Victor, who obviously takes far too much pleasure in killing people. The two were born within years of each other, have the same biological father, and share similar powers. Yet even at his lowest points and in the midst of bad choices, Logan consistently displays compassion and a strong sense of what is right and wrong. Why are the two so different? I can’t help but wonder if part of the answer is that Logan was shown love by his father as a child whereas Victor grew up with a drunken, irresponsible and apparently abusive father. Love has a healing power inherent in its origins, and Logan is the recipient of that with his father as well as Kayla. But in spite of the absence of parental love in the early part of his life, Victor was not without love; it’s evident from some of the opening scenes that Logan has shown a great deal of love for Victor. So, in the end, it seems it comes down to choice. The film seems to suggest that no matter the circumstances we have, we all have the ability to decide how to deal with the hand we’ve been dealt—and how we do that will affect the people around us. Travis: You know what happens to men who go looking for blood? Travis: We all have a choice, son. Logan: Well, mine got taken. I really appreciate this scene because, in many ways, it capsulates the film’s themes. Travis’ warning about the path of vengeance and violence (which reminds me of Jesus’ words that those who "draw the sword will die by the sword") means more than just the blood shed at the hands of the one seeking vengeance. Paths of vengeance inevitably include collateral damage—and that is driven home by the fact that shortly after Travis chastises Logan sniper bullets by one of Stryker’s men kill him and his wife. Logan isn’t in the barn as an innocent bystander but as the result of his own quest for vengeance and blood—and that path takes the lives of the innocent farmer and his wife. Logan had a choice, and here he is faced with the reality that the consequences of that choice don’t only apply to him but those around him. Logan goes on to make other choices in the rest of the film—some bad and some good—but he is starting make the choices he needs to in order to walk down a better path. One of the things I love about Wolverine is how he struggles between his fears and instincts and his compassion and strong sense of what is right and wrong, and that makes him a wonderfully complex character. In Wolverine (and Victor, too), we are challenged to confront our own animalistic inclinations bent towards fear, selfishness and desire and choose a better path—a path marked by compassion and love that may its own costs (sometimes terrible) but one that ultimately brings life and redemption. And so it is in our walk with God. Choosing to walk his Way can be difficult. In fact, Jesus tells us his Way will be wrought with sacrifice, suffering and loss—but also that his Father will use all of that and much more to bring about his plan of restoration and redemption and love. In the future, we know that Wolverine matures. He’s able to do the right thing despite his fears and feelings—and maintain his love and compassion in the process. In context of that journey, I found this part of his story satisfying. Yeah, the film is a bit strong on special effects and light on character (there are simply too many, for one thing) and depth, but overall I liked it. And the fact that it brings God-talk into open spaces doesn’t hurt, either. I am a writer, editor and graphic designer with broad experience in writing, editing, magazine publishing, web management and developing communication strategies for new and traditional media. Currently, I work in public relations and do a bit of freelancing. This is my space to write about popular culture and faith.